While 2018 and 2019 haven’t exactly been the year of crypto prices doing 100x their original cryptocurrency exchange listing price, it has been a year of growth and value. If anything, it has shown us that there is value to be had in any market, at any time, and for any person. 2019 prices are the type crypto enthusiasts dreamed of just one year ago, when Bitcoin and Litecoin were at an all-time high, and the market was overly saturated with fraud and unrealizable sales pitches. The question of 2019 is, are you going to let this time of opportunity slip away? Enter free Litecoin faucets. Note that we’ve already tackled the best Bitcoin faucets to use for free BTC this 2019 in a past article which you can find here. 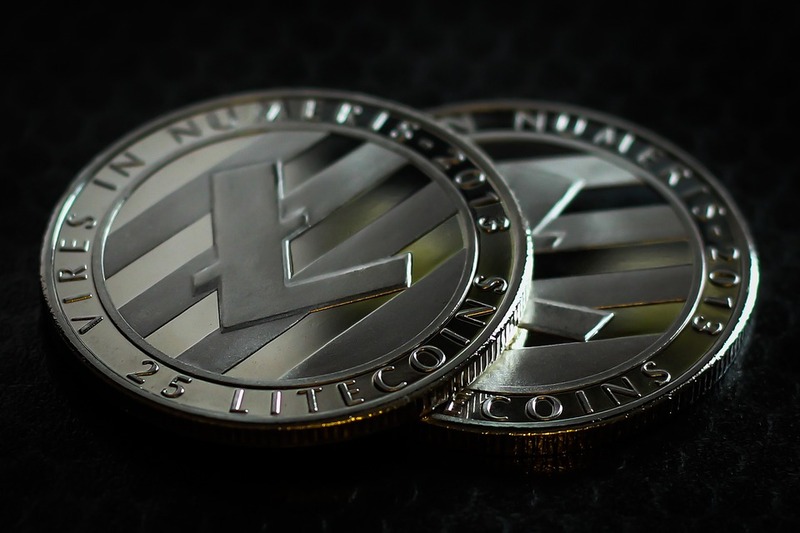 Being one of the more recognizable and oldest cryptocurrencies out there, Litecoin has slowly solidified itself at the top of the peer-to-peer cryptocurrency arena. As an early Bitcoin spinoff (back in October 2011), creator Charlie Lee saw Litecoin as a compliment to BTC, a silver to Bitcoin’s gold. And, that’s not too far off, with Litecoin now sitting in the number four slot of all cryptocurrency market capitalizations out there (just under USD $4 billion). Litecoin has become a sought after crypto and altcoin for financial freedom and individual economic settlement. However, not all crypto HODL’ers and novices are comfortable buying LTC and other crypto. Well, the good news is there’s a solution for you, and it comes in the form of free Litecoin faucets. Litecoin faucets are an extremely simple, free, and effortless way for LTC novices and enthusiasts to earn Litecoin for free. They’re a great option for newcomers looking to generate their first stack of free LTC, and extremely accessible for persons who otherwise wouldn’t have the financial means to enter into blockchain. Furthermore, they provide a great learning tool for persons looking to learn how to transact with Litecoin and manage a Litecoin wallet. In this article, we’re going to take you through what Litecoin faucets are, three of the best Litecoin faucets out there to earn free LTC, and several reminders you should hang on to when selecting a Litecoin faucet. Do know that this article is not to be construed as investment advice, and is merely an educational and informative article for blockchain and Litecoin newcomers looking to earn free Litecoin. The Brass Tacks: What is a Litecoin Faucet? Simply put, think of Litecoin faucets as a free Litecoin lottery. More specifically, Litecoin faucets are websites or applications which award LTC to users who engage in a series of micro-tasks, such as spinning an online dice, filling out a captcha, playing trivia, or simply pressing a button. One could think of them as an automated free Litecoin lottery, which pays out free LTC once users have completed their respective task. It’s important to understand that because websites and applications are giving out free Litecoin, they are not giving out large numbers of it. Instead, Litecoin faucets generate what is commonly referred to as a millilitecoin (mL) or microlitecoin (aka a photon). Most Litecoin faucets will be paying out its users in microlitecoins (sometimes called photons), which represents 1/1000000th of a Litecoin. As of date of publish, Litecoin’s price currently sits at USD $60.00, according to popular cryptocurrency analytics and tracking website CoinMarketCap. If you’re unsure of exactly what a photon is, and how it stacks up to a full Litecoin, check out this LTC to PHO conversion table provided by WalletInvestor.com. Well…the answer is quite simple. Free litecoin lotteries and faucets generate income through advertisement revenue. Ad revenue is the major earner for most free Litecoin faucets with instant payouts. Most Litecoin faucet websites and applications will have numerous advertisements once you land on their website, all of which generate revenue from pay-per-click, pay-per-impression, and other pay-per-X advertisement schemes. This ultimately allows them to give away free Litecoin. Before using a Litecoin faucet to earn free Litecoin, you’ll first need to generate a cryptocurrency or Litecoin microwallet. Microwallets are simply traditional Litecoin and cryptocurrency wallets which enable users to accumulate small amounts of LTC (ex. photons), as certain Litecoin and crypto wallets won’t allow you to transfer your LTC to it without a certain amount. Users can create a simple and easy to use Litecoin microwallet over at FaucetHub. Or, some Litecoin faucets will have their own respective wallet which you can use before withdrawing to a more popular Litecoin wallet. Congratulations! Now that you’ve created your first Litecoin wallet or microwallet, you’ll need to generate a LTC address to send your rewards to. As we mentioned above, most faucet applications and websites will allow you to accumulate a specific amount of free LTC before ever having to make a wallet. So, while it’s not imperative that you do so, it’s important to keep it in mind. Additionally, we do recommend keeping a realistic mindset when utilizing free Litecoin faucets, as the payouts are tiny and may take quite a while before you even have enough photons and LTC to withdraw and transfer. Now, let’s turn to three of our favorite and best paying Litecoin faucets to earn free Litecoin and photons from. The Moon Litecoin Faucet is at the top of the list for the best and highest paying Litecoin faucets in today’s faucet ecosystem, due to its large user base, daily loyalty bonus (where users can increase their claims by up to 300%), and active social media presence. Most notably, Moon Litecoin enables users to claim LTC at any point, meaning you can opt to claim smaller amounts frequently, or wait for the faucet to refill and then later claim a larger amount. The more users wait, the more they’ll be able to claim. As of March, 2019, users can claim 40 litoshi every 5 minutes, and up to 1075 litoshi every week. Furthermore, Moon Litecoin also boasts a daily loyalty bonus, whereby users earn a % bonus which accrues for every consecutive day you make at least one faucet claim. Such bonus increases by 1% per day, sanctioning users to enjoy up to a 100% bonus (doubled payouts). Just make sure you are claiming your free Litecoin every day. And, if you’re looking to get your friends or family members involved, Moon Litecoin supports a generous referral program, where users receive 25% lifetime commission on all of their referred users’ faucet claims. Note that when using Moon Litecoin, you’ll need to set up a CoinPot microwallet in order to receive instant and direct payments. Users do not need to have an original Litecoin address before first signing up. Free-Litecoin.com is a popular Litecoin faucet for users looking to earn free Litecoin and “multiply their Litecoin.” With the Free-Litecoin faucet, users can claim their LTC every 60 minutes, and it supports a relatively low threshold for withdrawing LTC (at just .006 LTC). Additionally, users can participate in Free-Litecoin.com’s ‘Referral program,’ which enables users to earn half of the money that their referee earns in every free game/freeroll. Note that when signing up, users will be prompted to enter their email, password, anyone who referred them, and their withdrawal address. If you don’t have a withdrawal address, don’t worry. Free-Litecoin provides a link to LiteVault, a secure Litecoin web wallet. Free-Litecoin’s website also has a detailed history of Litecoin for those looking for a simple explanation of this open-source P2P cryptocurrency. And, if you have any issues with the faucet, they have a contact email address to message them at. It is important to note that Free-Litecoin.com’s withdrawal fee is also .006 LTC (the minimum withdrawal amount), so you’ll need to make sure you earn enough Litecoin to cover that. Finally, if you’re looking for a Free Litecoin faucet instant payout, look no further than LitecoinFaucet.info, a popular LTC faucet for users looking to earn free LTC every 60 minutes. When landing on their homepage, users are immediately presented with the proportion of users who earn what payouts. For example, 30% of all users will earn 500 litoshis every 60 minutes, 1.9% will earn 5,000, and about .001% of users will earn 2,500,000 litoshis. Should a user end up in the top 2%, then they are truly experiencing one of the best payout Litecoin faucets out there. Users are also able to see the amount claimed in recent LTC claims, along with the top active users. As of March 20th, 2019, the top user has claimed nearly ½ of a Litecoin – an amount worth roughly USD $30. Keep in mind that the price of LTC once soared past $300. All users need to do is fill out a captcha, have their LTC address entered, and then boom, the Litecoin will hit their account. Blockchain and cryptocurrency can seem like an overwhelming ecosystem to familiarize yourself with, especially if you’re a newcomer. We hope this guide serves as a tangible starting point for you if you’re looking to use a Litecoin faucet and earn free Litecoin. Take this guide simply as an informational launching point, not as doctrine. At the end of the day, it’s up to you to conduct your own research and make the decision on which LTC faucet serves your interest the best. And, while it may take a considerable chunk of time to accumulate and earn free LTC before being able to transfer it out of your microwallet, once you do, we recommend moving your Litecoin to a hardware wallet (cold storage). Check out a past article of ours detailing 3 of the best Bitcoin hardware wallets out there to use. All three support Litecoin storage as well. Finally, while Litecoin faucets are a good starting point for crypto novices looking to learn about Litecoin and other cryptocurrencies, as they don’t require previous know-how or capital, they can be quite time-consuming. So, make sure you understand that they can sometimes not be worth it. It’s up to you to determine whether you think the payout is worth the time spent completing micro-tasks. If you think we left out any Litecoin faucets, or if you use a different one that pays out well, let us know in the comments! Make sure to follow our cryptocurrency blog for all the latest blockchain news, updates, and informative articles. And don’t forget to follow us on Twitter and Medium. We would love to hear your thoughts on topics you’d like to see us cover, so let us know in the comments or fill out our contact form! Check Out Our Crypto Blog!